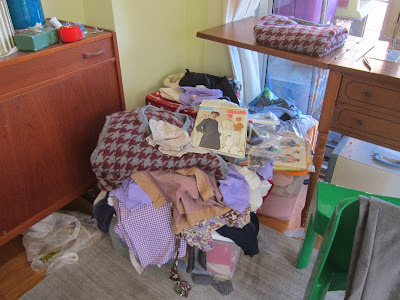 The Return of the Daily Ditch or "Get it OUT"
Friends, I know it may seem strange to follow a post about finding treasures in the trash with one about tackling my increasingly overwhelming clutter, but so be it. 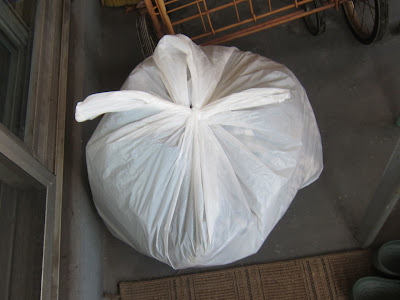 Friends, surely you know by now that I have few qualms about reclaiming others' trash -- provided it looks and smells clean of course! 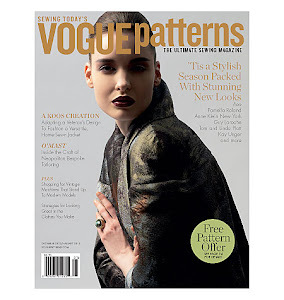 Houndstooth in the House -- modeled today at Mood! 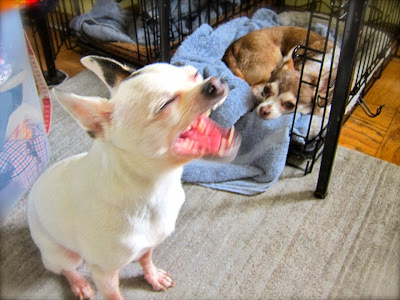 You already know I'm a fan of houndstooth, but when are they going to name a pattern after chihuahua teeth? 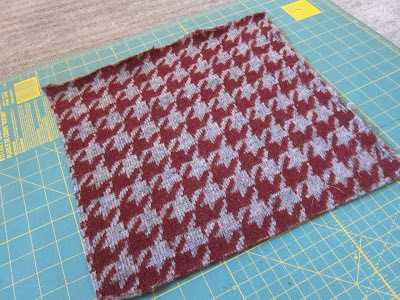 I'm excited to announce that today you can see how (all) my houndstooth knit projects turned out over on the Mood Sewing Network -- just click here. 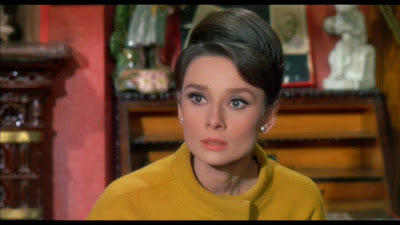 Readers, have you ever seen Charade (1963) starring Audrey Hepburn and Cary Grant? The Dirndl -- YEA or NAY? Readers, as September winds down, I know many of you are eagerly anticipating Oktoberfest, the 16-day German beer festival that is celebrated in many parts of the world -- I am! But to be honest, that's not what got me thinking about dirndls today. The Vest Is Yet To Come! 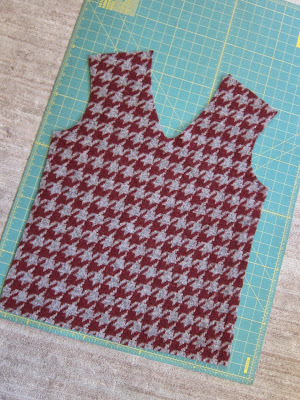 Today I made Michael his houndstooth wool knit vest. 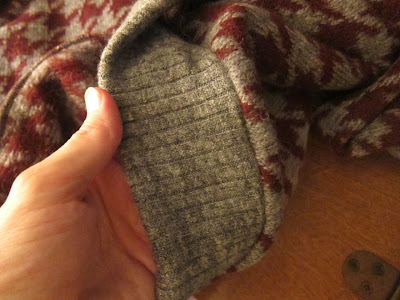 I'm sold: I'm sewing my sweaters from now on. 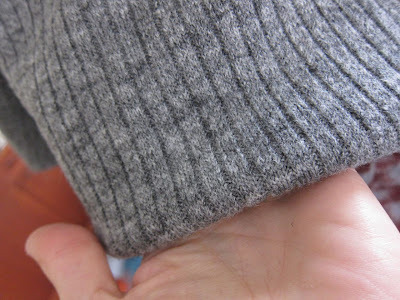 Testing My Knits + FAKE FUR UPDATE! 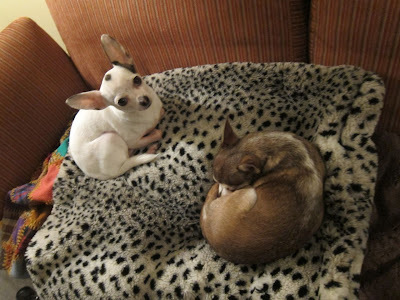 No doubt some of you are eager to find out what became of the fake fur throw I bought at the Salvation Army last week but was hesitant to use for fear of bed bugs. Feeling considerably better today, I decided to head uptown and get fabric for my next Mood project, most likely a knit sweater. Readers, I've been battling a cold for the last few days and, as a result, feeling glum, and I needed to do something to lift my spirits today, so I decided to play. Readers, do you believe in synchronicity? 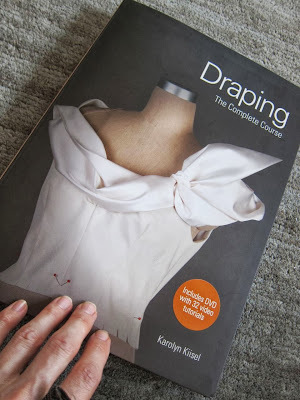 If not, how do you explain how it is that the very summer I purchase not one, but two body forms so I can learn draping, Laurence King Publishing releases a brand new, 320-page book entitled "Draping: The Complete Course" authored by Karolyn Kiisel? Yesterday at the Salvation Army I found a very luxurious-looking fake fur throw, fully lined with cotton twill and measuring approximately 60" x 60". The price was just $5.99 so I bought it. 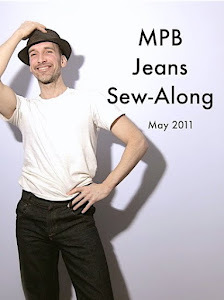 Friends, it has been a long time since I wrote about a sewing book (seven months) but don't think I haven't been accumulating sewing books -- I have; I just haven't gotten around to writing about them. 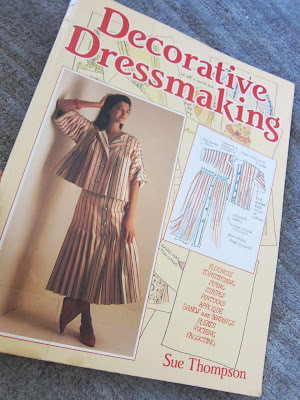 But I recently acquired a book, "Decorative Dressmaking" by Sue Thompson (Rodale Press, 1985), that I had to tell you about. 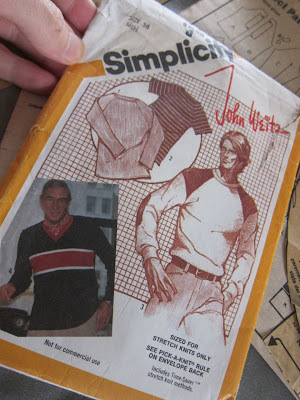 Today I experimented with Simplicity 9993, the vintage (Seventies?) 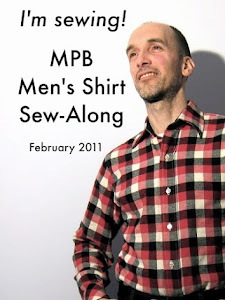 men's knit pullover pattern I was thinking of using for a sweater knit project. 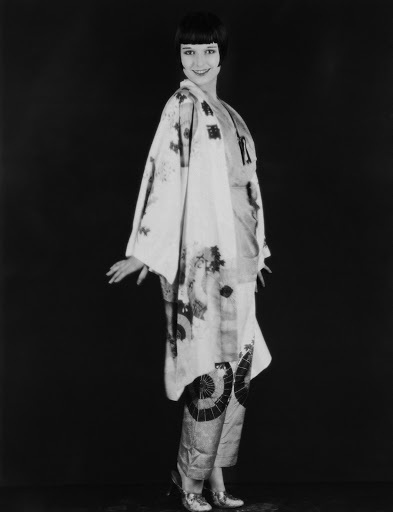 Cathy models the 1920's pajamas & kimono ensemble! And now Cathy's most recent photo shoot. 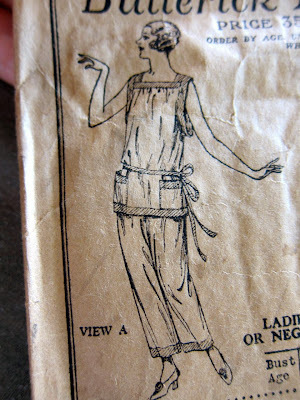 What a glorious day to be wearing sleeveless pajamas in public. Cathy was, as usual, game and glamorous -- a true pro. 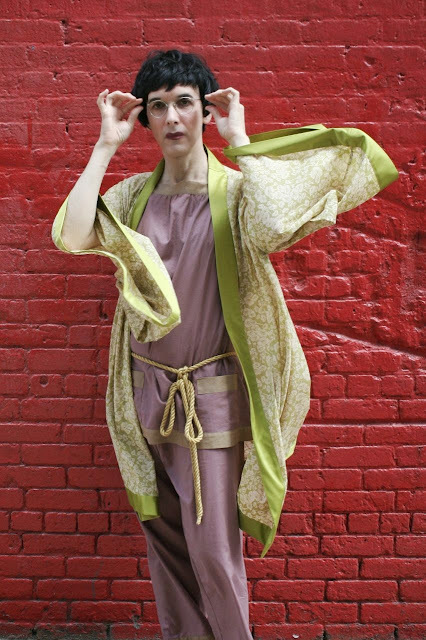 Kimono-palooza -- Live Today at Mood! 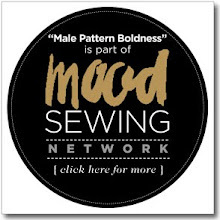 Friends, the 1920's lounging pajamas and kimono are finished and can be seen today at the Mood Sewing Network -- just click here. Friends, thank you so much for your many words of sympathy regarding Michael's mother. They mean a great deal to us. 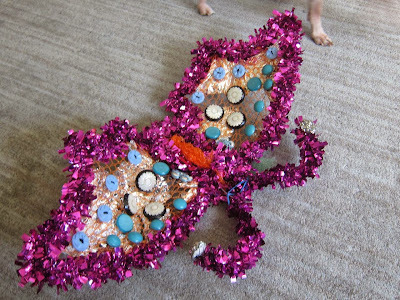 It is time for me to return to sewing. 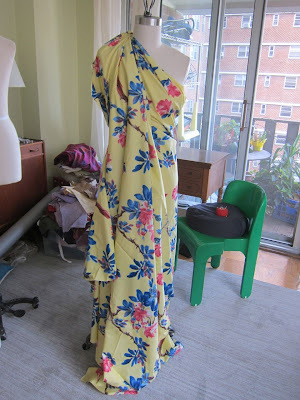 Having finished my 1920's cotton lawn kimono, next up were the pajamas, using the vintage Butterick pattern I found this summer at the Chelsea Flea Market (see pic above).